Be sure to save/convert your file to a CSV (Comma Separated Values) file. 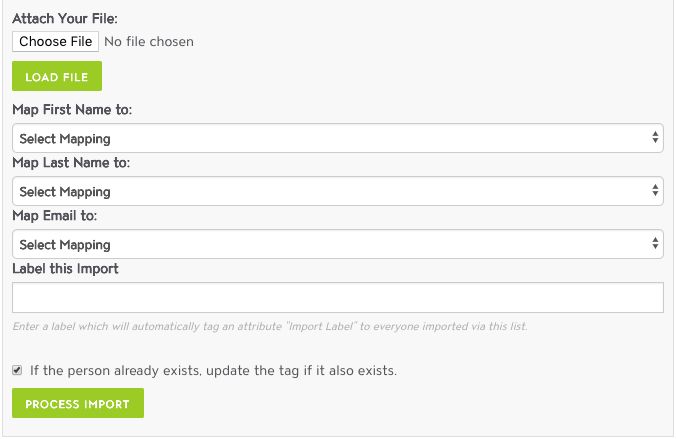 Select Import Customers under Settings and Tools. 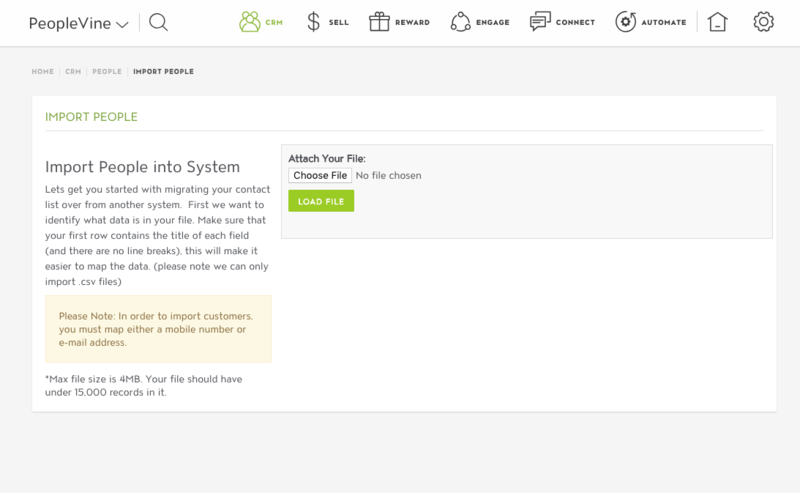 We will now display all the headers from Row 1 and display the ability to map your data to PeopleVine CRM. 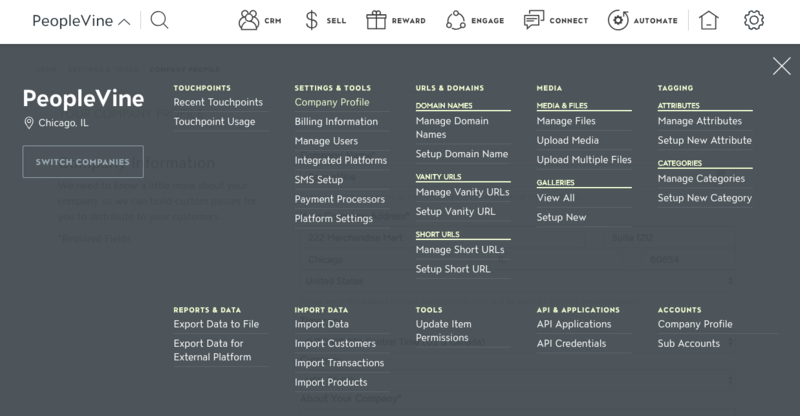 A few things you should know: Mapping is used to attach the data to a CRM record. You must map either email address or mobile number (or nothing will import) If we find an existing email address or mobile number, we'll update their data to prevent duplicate records. Once everything is mapped, click Process Import. We will send you an email confirmation when the import is complete.